The Ford Transit is probably the bench mark of commercial vehicle across all of the manufacturer’s and has one more accolades than any other commercial vehicle. Launched in 1965 and still going strong it is the underlying benchmark or all things commercial in the Ford World. So when you think Ford Van Leasing you probably mean Ford Transit Leasing or one of the many variant derived from It albeit in the Transit Connect, Custom or what we now refer to as Big Transit. 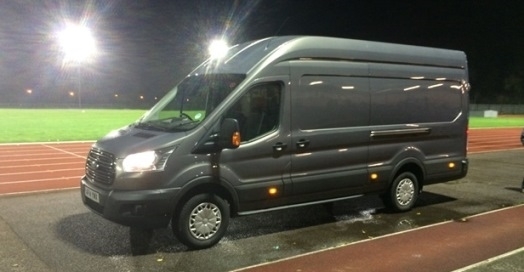 The Ford Transit currently holds the What Van International Van of the year 2015 for the Transit Courier, the smallest in its range of vehicles. The next step up takes you to the Transit Connect offering a bit more flexibility and space. Then comes the meat of the Transit range with the aesthetically pleasing Transit Custom up to the “Big” Transit. Needless to say the Ford Transit is more flexible than just a van offering a plethora of different line ups from Double Cab in Van to Tipper. So if you are looking for one stop Van Leasing the answer is probably based on a Ford derived van. The lease options available across the Ford Transit range vary from a standard non maintained contract hire agreement, including delivery to your door, tax throughout the contract to collection at contract end to a fully maintained contract inclusive of Servicing and Replacement Tyres. In all cases you will need insure the vehicle for the duration. As well as the traditional Contract Hire route you can look at finance lease agreement, giving you an alternative route to finance. It is probably safe to say that we don’t need to tell you much more about a transit. You will have seen thousands of them in your life time and if you are on this page will already know that they fit your needs at which point it will be looking at fine tuning some pricing or maybe looking at the add on services like ply lining and racking. We can help here too. If unsure get in touch and we will do our utmost to assist. Needless to say the payload will be exceeded if you intend to carry this amount of weight, so do take care.